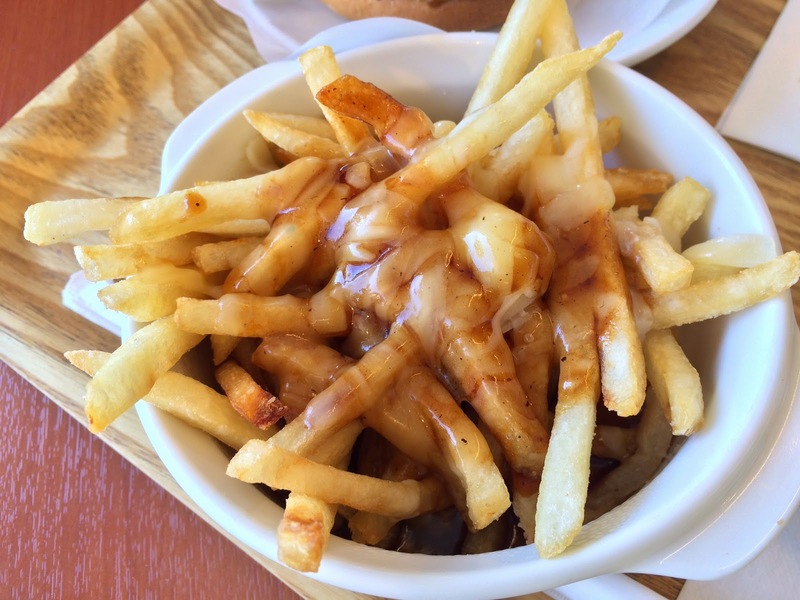 After we went to Disney Resort to try Easter desserts, we went to Becker's to try their poutine. Some of my friends tried the poutine and it's not really an authentic poutine, we had to give it a try. I didn't realize till I looked it up, but the burger chain Becker's was acquired by JEFB, JR East Food Business Co., Ltd. in 1990, and no wonder I often see the chain neighboring JR stations. This is the menu and they have 3 kinds; gravy sauce, meat sauce and spicy cod roe sauce (clockwise from the right top). As you can see, there's no cheese curd but melted cheese. 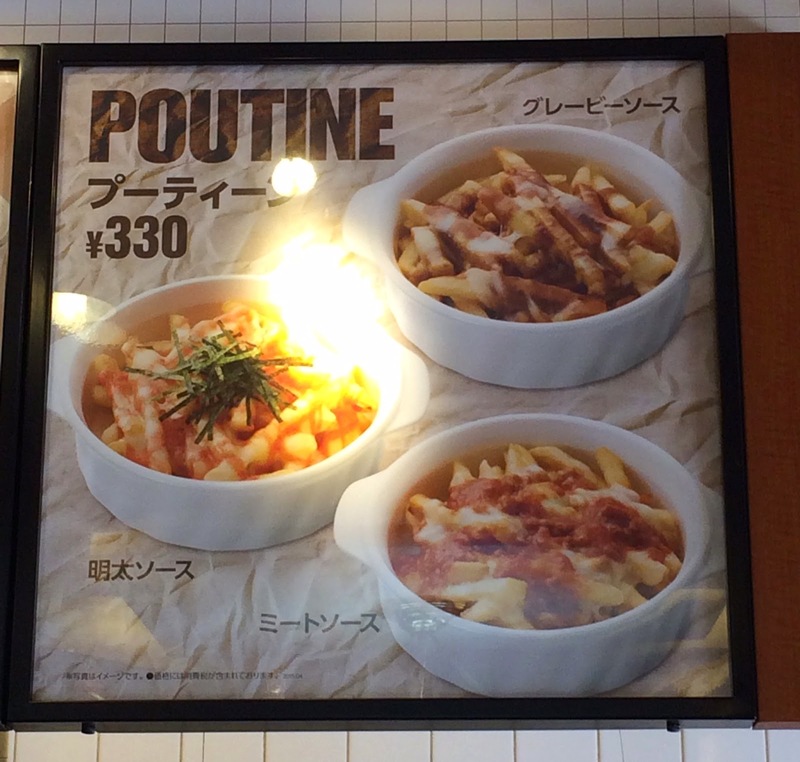 Also thought they're called poutine, 2 of them were meat sauce and spicy cod roe sauce and they're not really authentic poutines. I thought that they don't know what real poutine is like Robson Fries, but at least they didn't advertise many false informations like Robson Fries who says, "Poutine was born in Canada and it consists of 'consomme flavored sauce' and 'melted cheese,'" so I guess Becker's was preferable as it's not really stating anything wrong but providing untrue poutines. My husband said that they put fries into a bowl, poured gravy sauce and shredded cheese over the fries, and then, microwaved it. When I heard this, I see why the cheese melted completely when it's served. 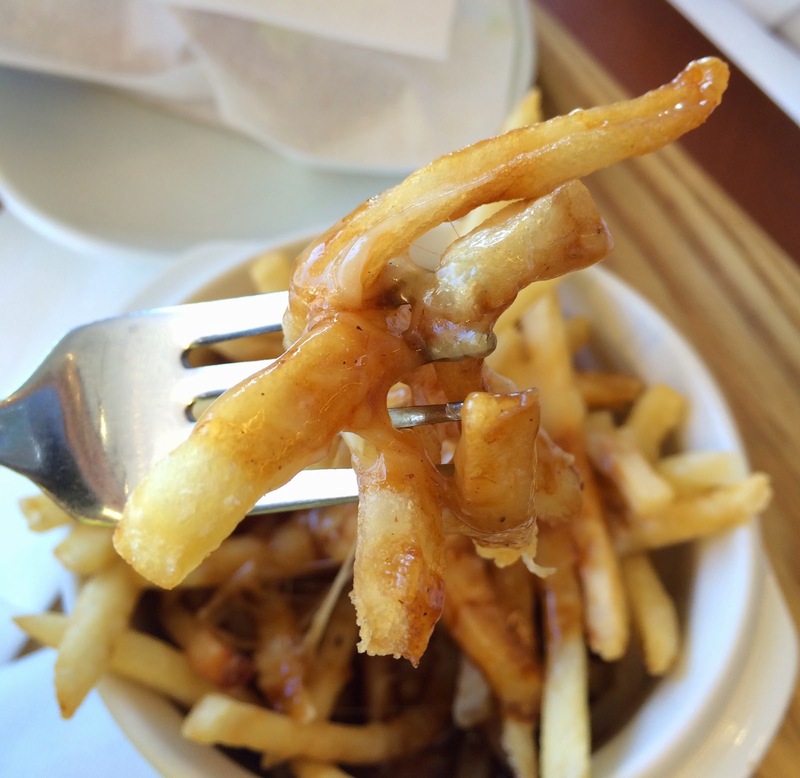 Fries were skinny and lightly salted, and the parts without sauce was crispy. Gravy sauce was sweet and salty, and it tasted like demiglace sauce as it looked. Not bad, but still it shouldn't be called poutine as it's missing cheese curds.